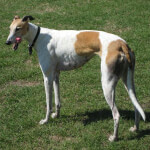 The greyhound is a large dog breed and is world famous for their speed. Greyhounds were originally bred as hunting dogs for deer, foxes, and rabbits which required the breed to be both agile and fast. 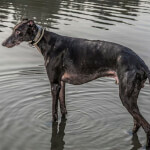 The breed can reach speeds of 40-45 miles per hour which makes the greyhound the fastest dog breed in the world as well as ideal dogs for lure coursing and racing events. 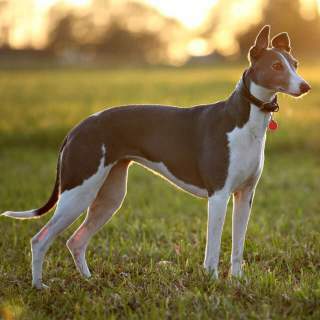 The breed is considered a friendly dog breed and can live indoors as well as outdoors making them apartment compatible. Many people are surprised to learn that the breed is calm and borderline lazy taking frequent naps throughout the day. 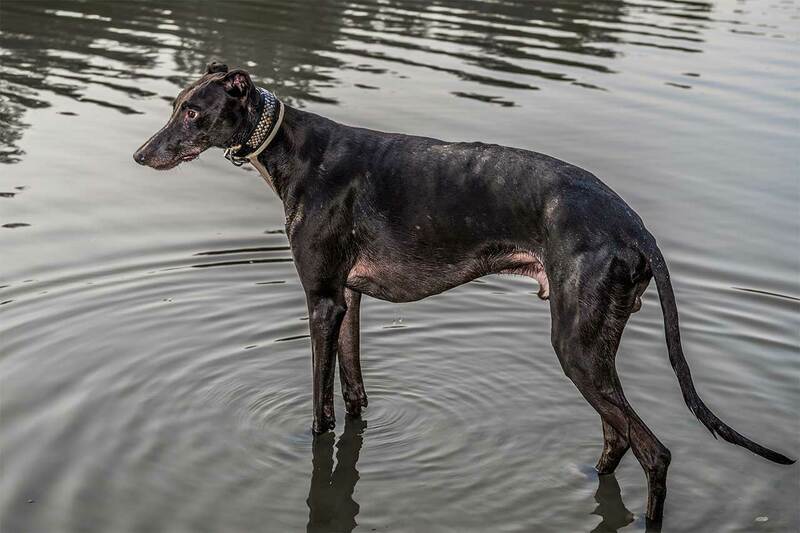 Greyhounds do have a very strong prey drive, so they may not be best for families with cats or other small pets. 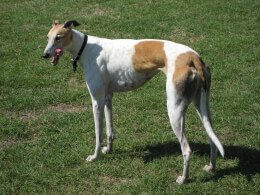 Greyhounds are a large dog muscular dog breed where males can weigh as much as 65-85 pounds and be as tall as 26-30 inches from ground to shoulder. 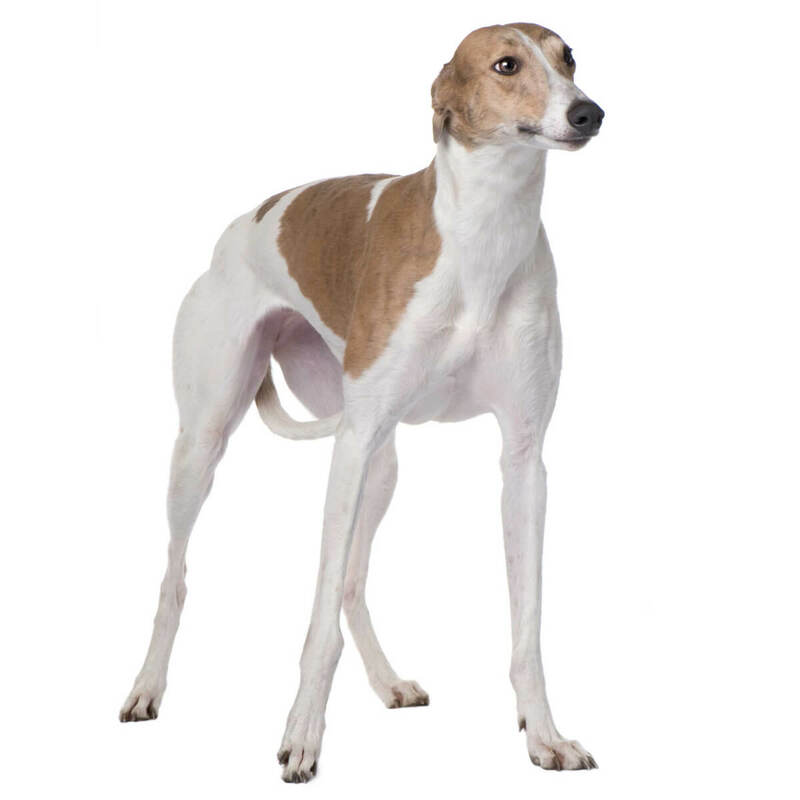 Greyhounds that are used for racing are generally slightly smaller than the rest of the breed (likely due to selective breeding for speed). Greyhounds are known to have a great temperament and are considered to be both friendly and non-aggressive towards people. 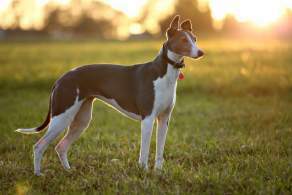 They are intelligent which makes them an easy to train dog breed. The breed is good with smaller children and is careful to walk around small children rather than over them. 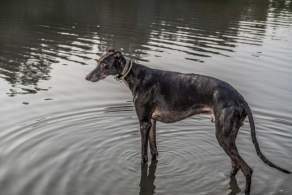 Since greyhounds were used a hunting dogs for chasing prey, they are not recommended for families with small pets because the breed will likely want to chase them. The breed has an easy to care for coat. They do shed so brushing the coat once daily will keep the shed at a manageable level. Surprisingly the breed is a low energy dog. They will need a daily walk to meet their exercise needs and to prevent them from becoming hyperactive. 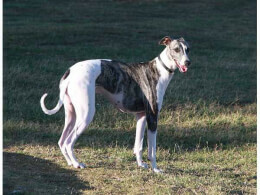 The breed should not be walked off leash due to their strong chase instinct and their fast speed. Below are common greyhound coat colors. 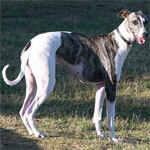 Below are pictures of the Greyhound dog breed.